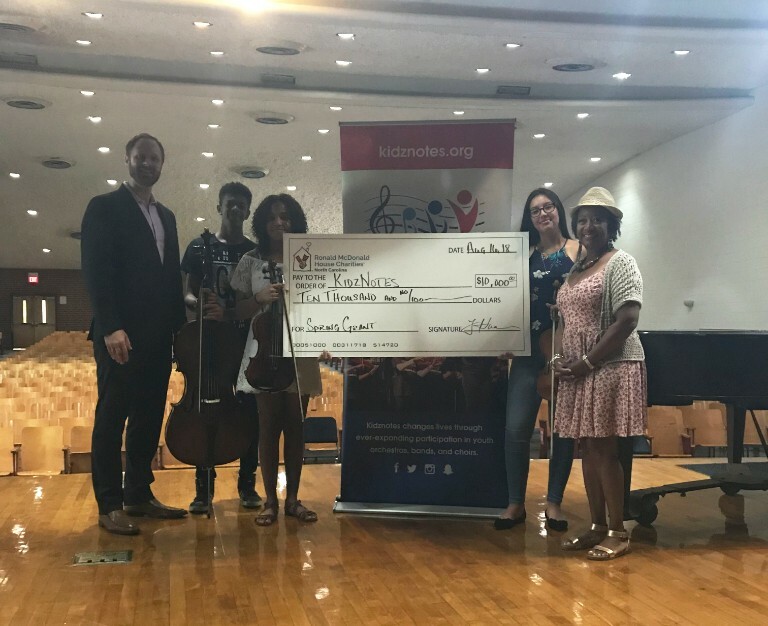 On August 16th, RMHC of NC presented Kidznotes with a $10,000 grant to support the expansion of the music program in Durham, which benefits low income children and schools. For years, Kidznotes has partnered with 11 Title 1 schools in East Durham and Southeast Raleigh developing the students’ skills that are critical for success in school and adulthood, including accountability, teamwork, focus and so much more. 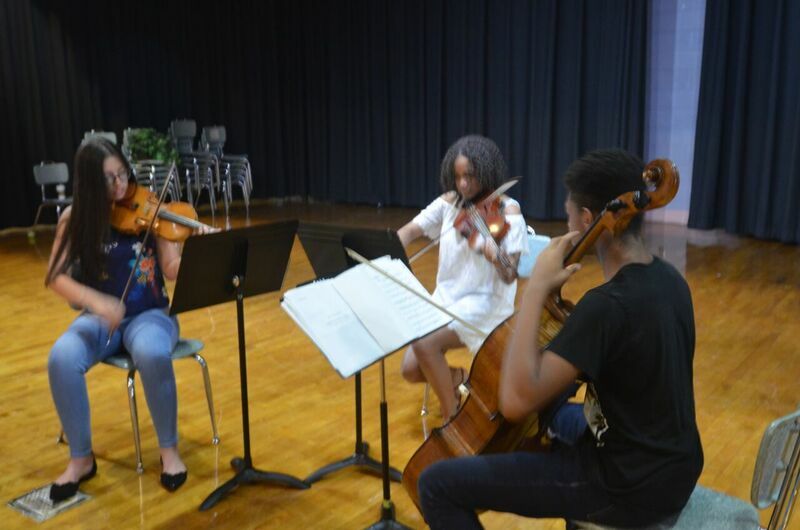 Through Kidznotes, these students receive rigorous training for 10 hours weekly by instructors trained in the El Sistema methodology and approach. 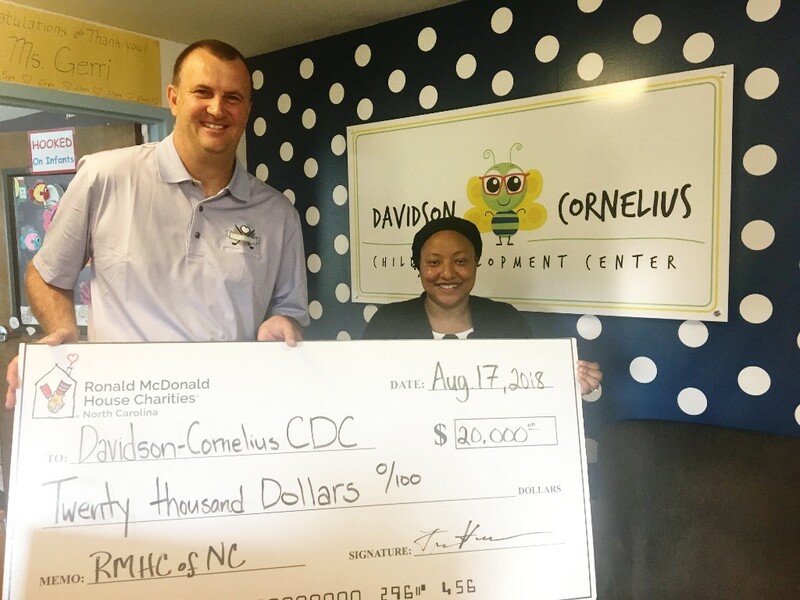 On August 17th, RMHC of NC presented the Davidson Cornelius Child Development Center (DCCDC) with a $20,000 grant to go toward its playground renovation project. The center’s playground has not been updated in more than 30 years. 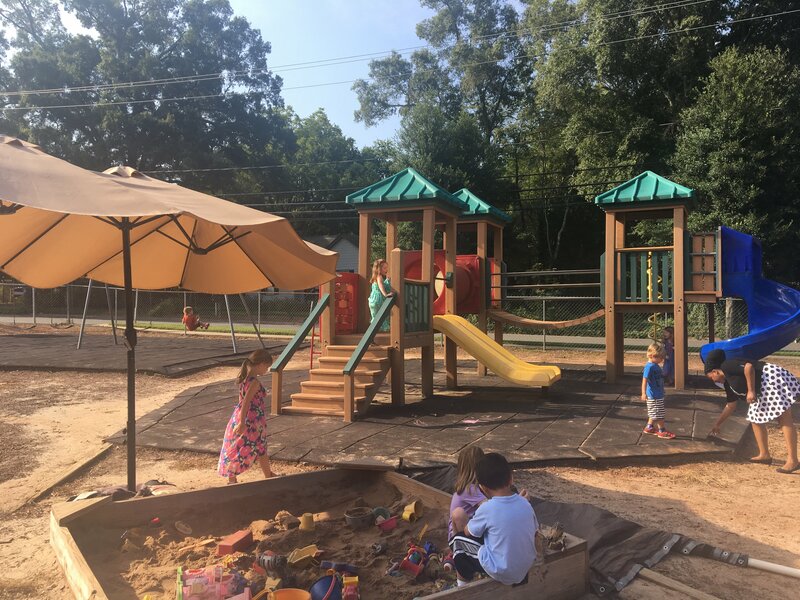 For decades, the DCCDC has been a fundamental organization in the North Mecklenburg community providing high-quality, affordable early education and care for any child in the community, regardless of race and economic background. About 40-50% of the center’s children receive scholarship support. 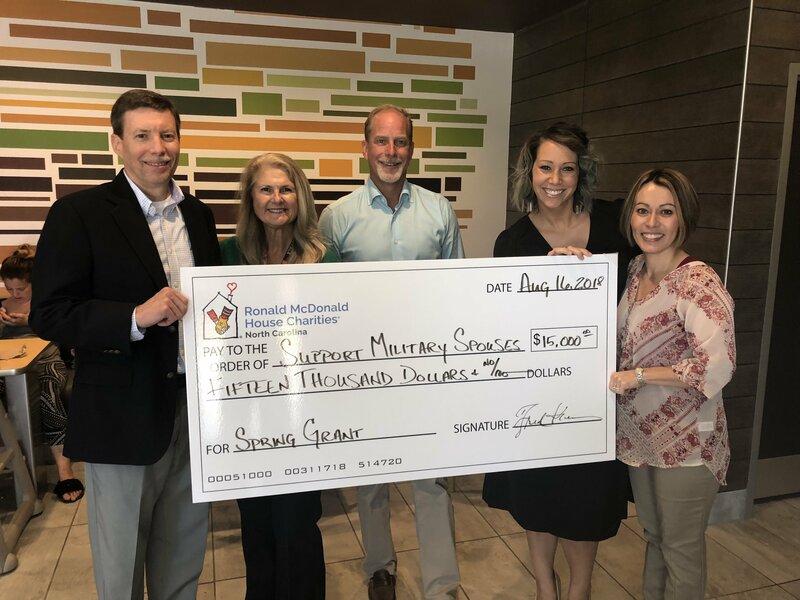 On August 16th, RMHC of NC presented Support Military Spouses with a $15,000 grant to help fund the Littlest Heroes Care Package Program, which takes places during the Christmas holiday season. Thousands of children in North Carolina will receive a special holiday gift while one, and sometimes both, of their parents are deployed. Support Military Spouses was started by husband and wife team Rev. Steve and Diane Rumley in 2009, to provide services such as Job Skills Training, Military Spouse Job Fairs, Money Management Workshops along with the Littlest Heroes Care Package Program to military families. RMHC of NC is currently accepting applications from organizations who would like to be considered for community grants this fall. If you know of an organization who could benefit, visit RMHC of NC’s website for more information. The deadline to apply is September 30th. 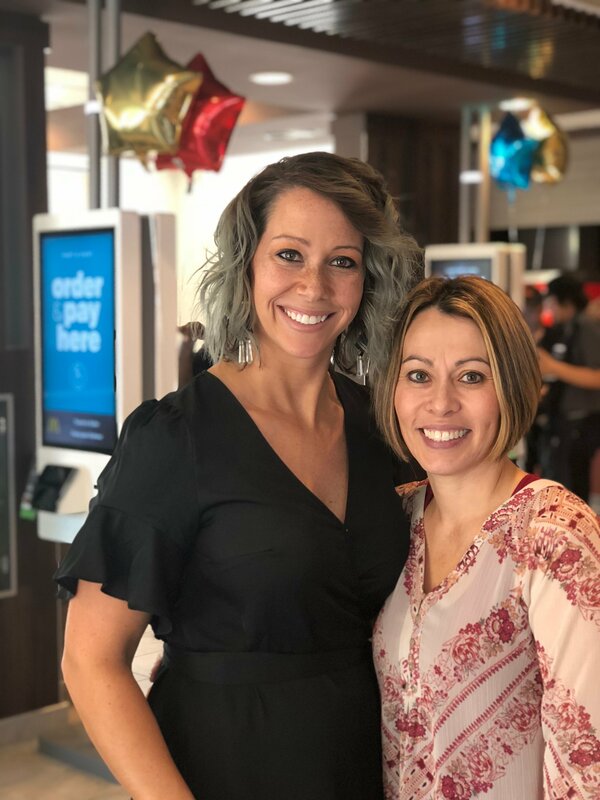 The Ronald McDonald House is more than just a house, it’s a home. Every day of the year, the seven Houses across the state of North Carolina provide shelter and comfort for hundreds of families. Throughout the course of 2017, our local Houses have served sick children and their families from 98 counties in North Carolina. September 10th: The RMH Open will take place at The Country Club of Landfall in Wilmington, NC. We hope you will join us for this day of golf, friendly competition and fun in support of the Ronald McDonald Houses of Chapel Hill and Eastern North Carolina. For more information on tickets and teams, click here. September 14th: Join us for the second annual Capital City Shootout! The sporting clays tournament will help the Ronald McDonald Houses of Chapel Hill and Durham & Wake create and support programs that improve the well-being of children and their caregivers. For more information about the event and how to register your own team, click here. September 22nd: The Ronald McDonald House of Eastern NC is hosting its 7th Annual Character Breakfast. This event is a great way for the community to have some fun while supporting the families that stay at the House. Guests will enjoy a McDonald’s pancake breakfast, a character parade, face painting, carnival games, and more. You can find more information at this link. September 22nd: A whole new world awaits at the Ronald McDonald House of Charlotte’s 4th Annual Storybook Ball! This Aladdin-themed gala will be the House’s most momentous event of the year, featuring a live auction, dinner and dancing. For more information on tickets, visit the House’s website.